Nothing's certain, especially at 96. No one knows that better than Irv Williams. 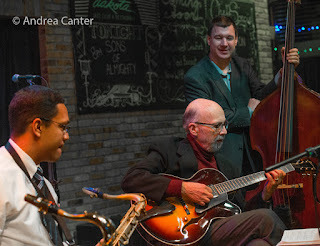 In one configuration or another, the nonagenarian saxophonist has been enhancing Friday night happy hour at the Dakota for at least the past decade, for many years with pianist Peter Schimke, and more recently with guitarist Steve Blons and bassists Billy Peterson or Steve Pikal. These days there is some degree of uncertainty from one Friday to the next. Irv gets tired. Some days he isn't up to the drive from St. Paul to downtown Minneapolis. 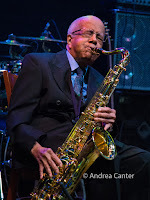 But more often than not, Irv turns up at 4:30 pm, greets staff and fans with "I'm still here!," and finds enough air to fill the room with that signature sound of utter sweetness, playing a mid-tempo bebop favorite or luxurious ballad. 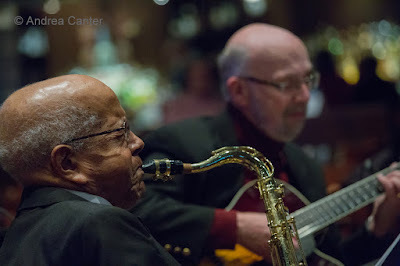 And he typically ends each tune with a gruff honk and a smile. 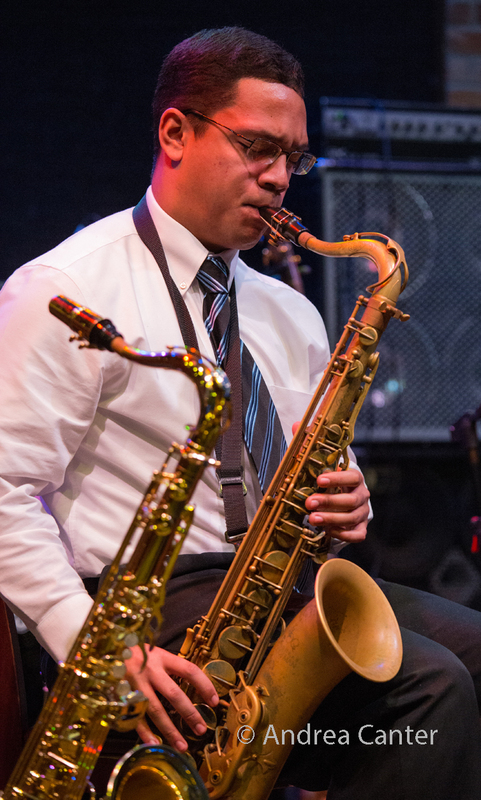 Young tenor saxophonist Joshua Jones idolizes Irv, who in return encourages the Southwest High grad, currently a junior at Luther College in Decorah, IA, to sit in when he's home on a school break. It gives the elder statesman a chance to rest his chops, munch on a few fries, and nod his head in approval. More than a few generations of jazz hopefuls have followed Irv's career, and some, like Joshua, know a life-long role model when they hear one-- a little man with a big horn and a bigger heart. 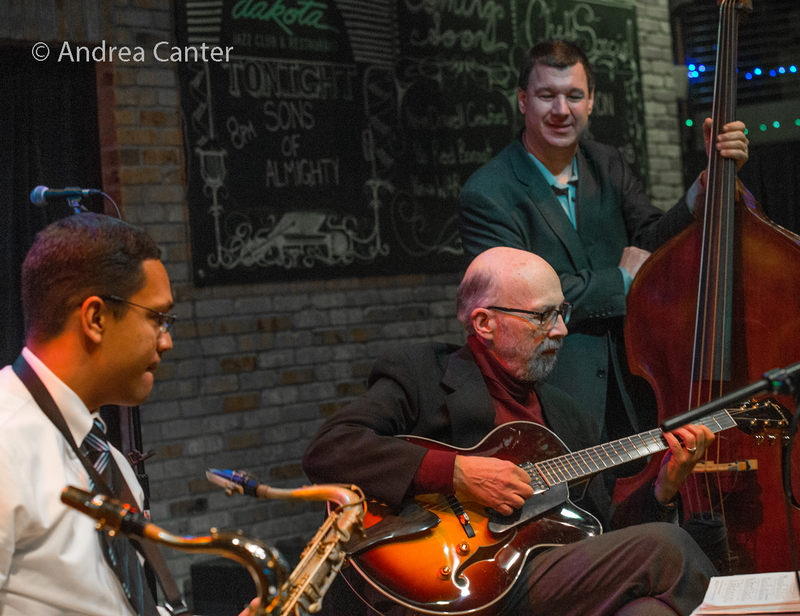 Start your weekend gently at the Dakota, happy hour every Friday at 4:30 pm, usually with the Irv Williams Trio.